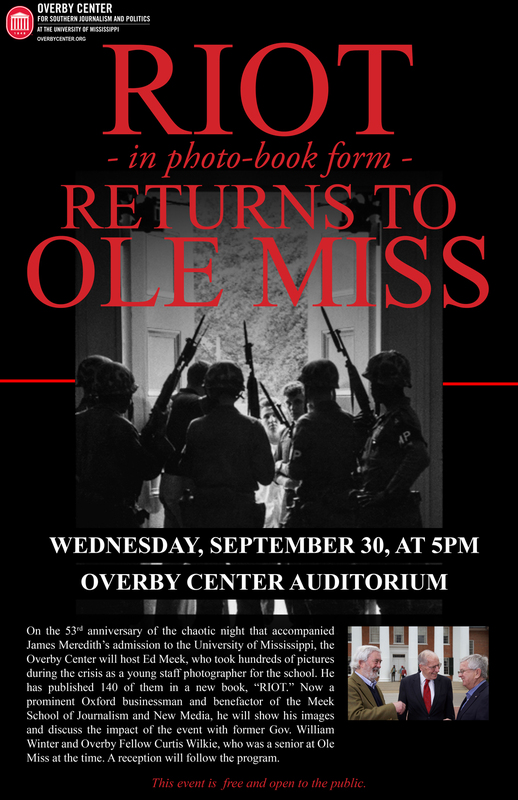 On Wednesday, Sept. 30 — the 53rd anniversary of the 1962 Ole Miss riot – at the Overby Center for Southern Journalism and Politics Ed Meek will give a power-point show of photographs from his new book “RIOT” and along with former Gov. William Winter and Overby Fellow Curtis Wilkie discuss the night that altered the history of the University of Mississippi. The event, which will begin at 5 p.m. in the Overby Center Auditorium, is free and open to the public. A reception will follow the program. 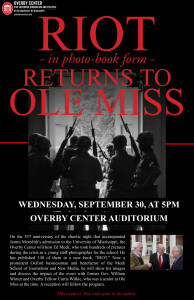 Ed Meek will be signing his photo-history “RIOT” at Reed’s Gumtree Books in Tupelo on Tuesday, Sept. 22 from noon-1:30. 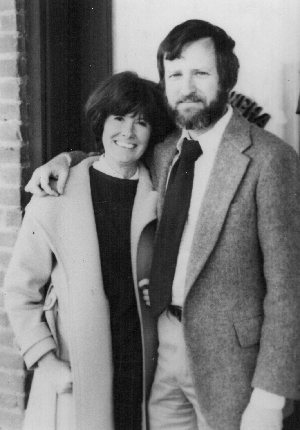 RIOT contains 120 of Meek’s photographs of the 1962 Ole Miss riot, many previously unpublished, with an Introduction by Curtis Wilkie and Afterword by Governor William Winter. 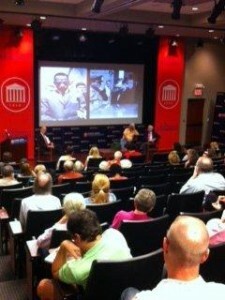 On Sept. 30, 1962, when a riot occurred at the University of Mississippi protesting the admission of James Meredith, Edwin Meek, 22, a staff photographer for the university, stayed up all night taking over 500 photos with exclusive pictures of Meredith at his first class.